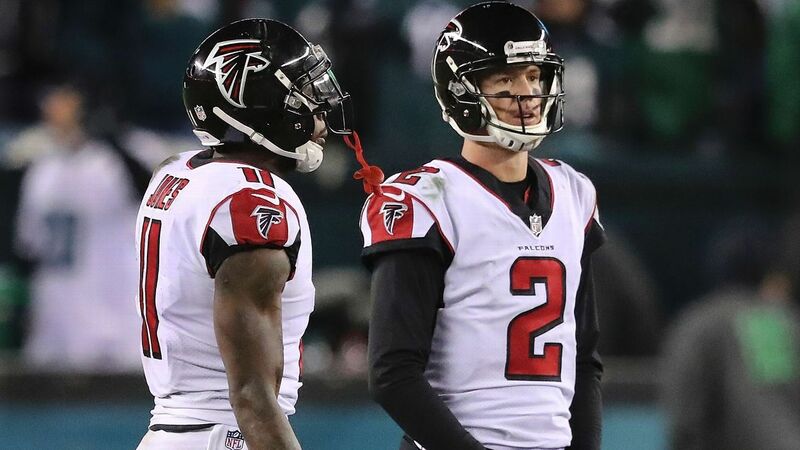 FLOWERY BRANCH, Ga. — Atlanta Falcons quarterback Matt Ryan, who has downplayed the absence of five-time Pro Bowl wide receiver Julio Jones from both mandatory minicamp and voluntary workouts, said he plans to conduct July workouts involving Jones. Ryan, who in recent years organized and paid for teammates to meet in South Florida for unscheduled practices, said he plans to hold similar sessions before training camp in late July. Ryan did not divulge the full details of the workouts. “There’s probably about 12 of us that are going to get together in the month of July, and he’ll certainly be a part of that,” Ryan said of Jones. “We’ll have an extended period where we get some work together. You know, that’s something that we’ve done in the past. The past couple of years, we were down in Miami. Ryan became a father of twins this offseason, and his revised home schedule led to pushing the “passing camp” back to a later date. Meanwhile, Jones has been away from the team while dealing with a contract issue. He is looking for a revised contract with three years and $35 million remaining. He faces a grand total of $84,425 in fines for missing the three-day minicamp. Ryan said he is not concerned about getting Jones up to speed with the changes being made in Year 2 of offensive coordinator Steve Sarkisian’s offense. Jones, who is looking for his fifth consecutive 1,400-plus yard season, has been working out with NFL Hall of Fame receiver Terrell Owens.